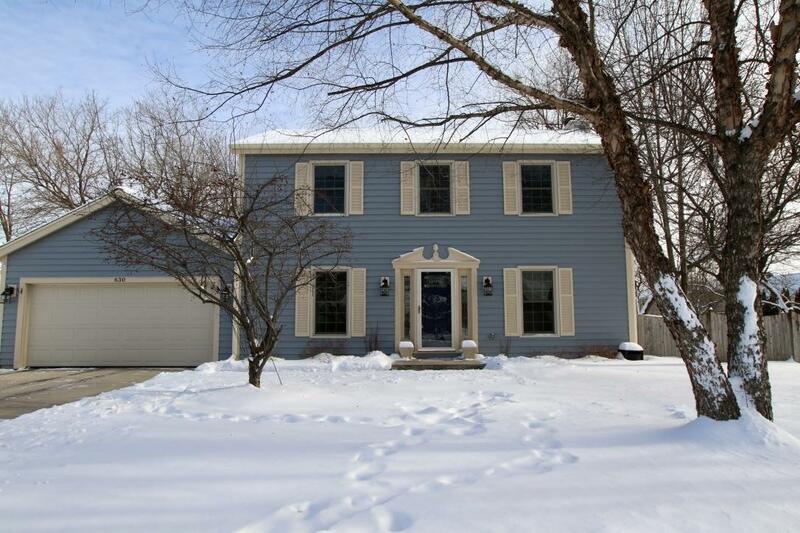 This well-cared for 3 bedroom, 2.5 bath home is move-in ready. Master suite with walk-in closet, full bathroom and sitting room. Eat-in kitchen and formal dining room along with a first floor laundry and mud room. An additional finished rec room for a great second living space and entertaining. You will be amazed as to how this large yard comes alive in the Spring. Three raised garden beds planted with strawberries and herbs. A over-sized patio for summer fun. Newer Furnace, Roof & Gutters, Shed and Garage Door. It just feels like home.